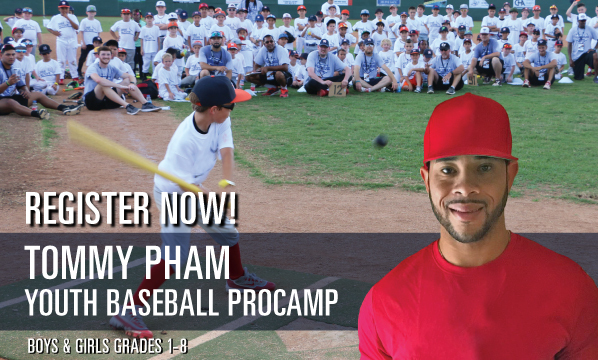 The Tommy Pham Baseball ProCamp is filling up quickly! The camp is July 26th at Belleville East High School in Belleville, IL and is open to boys and girls in grades 1-8. 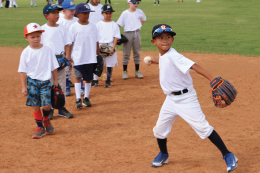 Limited spots remain for camp; sign up today before it's too late! Campers receive baseball tips and instruction from Tommy and our camp coaches, as well as an official camp t-shirt, a camp team photo with Tommy, and a souvenir autograph from Tommy!